I've studied Module C with Master Kay for over a year now and have enjoyed it very much. I find Master Kay to be a very considerate, patient and caring teacher. I would have no hesitation in recommending this course with Master Kay. I am proud and thankful, beyond words, that I have been part of Master Kay's class. She is one of our most treasured teachers indeed. Our learning experience with her had always been dynamic and engaging. She is perfectly genuine, sincere and honest when giving advices and opinion. She was one of the great teachers I have ever met. Master Kay's teaching is clear and focused. Due to her substantial teaching experience she brings across the complex subject of Yuen Hom Hexagrams in a very understandable way. 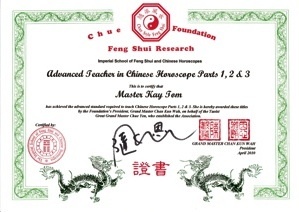 Master Kay Tom is one of Grand Master Chan’s most experienced Chue Style Feng Shui teachers. She has studied with him for over 20 years and has run her own Chue Style Feng Shui school for the last 10 years. 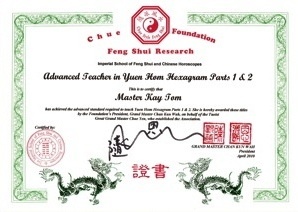 As Chairman of Grand Master Chan’s research association, The Chue Foundation, Master Kay’s school brings the connection of her Lineage and its wisdom to her students with her unparalleled experience. The school prides itself in offering courses to its students in environments that illustrate the word of Chue Style Feng Shui. Chue Style is very proud to say that it practices what it preaches and therefore offers its students plenty of practical experience away from the classroom; a very valuable experience for any serious consultant. Chue Style Training is a unique composition of structured courses developed by Grand Master Chan Kun Wah. They can offer a complete educational system of courses for the weekend enthusiast to more advanced training for those who aim to become more proficient consultants in the disciplines of Feng Shui, Chinese Horoscope, (Ba Zi) I Ching, Date Selection, Face and Body Reading and Qigong. Chue Style is characterised by our understanding of Compass School that integrates with our wide spectrum of Form knowledge. These disciplines can be traced by our direct Lineage to the ancient Imperial Courts of China. 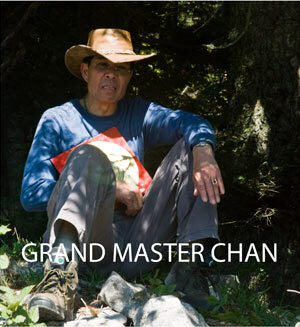 Grand Master Chan has dedicated more than 50 years of his life to researching and teaching authentic Imperial Feng Shui. 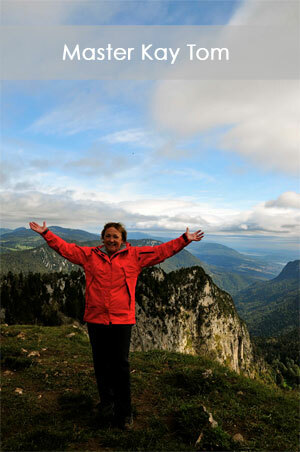 Chue Style Training offers the education privilege of Continuous Personal Development in the Feng Shui field. This knowledge is drawn from our Imperial Lineage and Grand Master Chan’s own research. These unique courses are offered in many Chue Style Schools around the world by fully qualified Chue Style teachers. Each Chue Style course carries with it a guarantee of authenticity to the pure Chue Imperial Lineage, with many of its course subjects being available elsewhere. The Chue Foundation believes in the importance of establishing a regulated certification and examination process, that guarantees the on going quality of standards within the practice and training of Feng Shui. All courses offer a recommended number of teaching hours, stipulated teaching material and highly trained teachers. 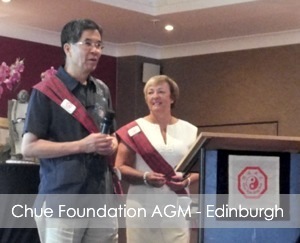 The courses are regulated by the Chue Foundation. 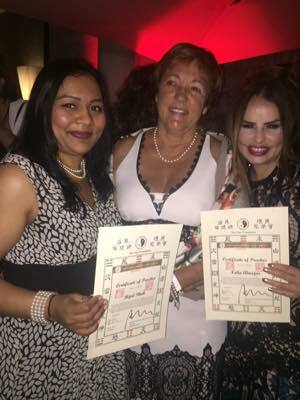 Graduate Chue Style Feng Shui General Practitioner Training is a comprehensive programme that provides vocational training in Chue Style Feng Shui for anyone who is interested in learning more or who is looking to gain a professional qualification in the subject. 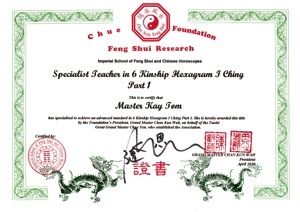 It consists of Modules A, B and C that are offered with the aim of completion in the theory and practice of Chue Style Feng Shui in approximately 3 years. Each module is designed to take students to the next level of understanding in Form and Compass School disciplines with an emphasis on Chue Style speciality, that is Yuen Hom Hexagram Feng Shui. Start the journey by reading more about the syllabus modules ». The Imperial School, London is set amidst the hustle and bustle of city life and presents the student with first hand experience of just how the lessons from the natural form of the mountains of the world can be translated into the lives of the people with the city and the urban environment. In London the world is your oyster so this experience can be exactly what you want it to be. The busy life of the West End, rich in the arts with shows to suit every genre, or even a visit to Chinatown are easily accessible just as much as is the quietness or the Royal Parks and botanical gardens. Working with the understanding of Nature’s wisdom is a speciality of the school which helps the student’s application of the complex formulae and principles taught in the content of the courses on offer. Master Kay Tom is delighted to be teaching on behalf of, and under the esteemed guidance of, Grand Master Chan who is one of the top 5 Feng Shui Masters of the world and a direct descendant of The Imperial Courts of China. His knowledge has not been taken from text books but comes from first hand information passed from Master to Master through the many Dynasties of The Imperial Courts of China. 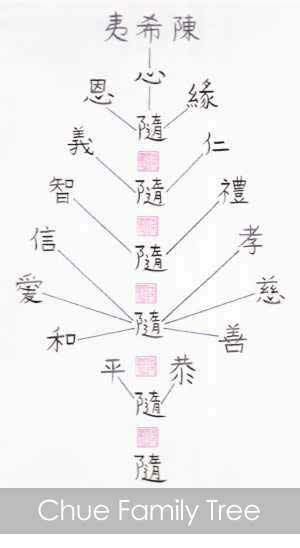 Chue Style Feng Shui students are immensely proud of their lineage. 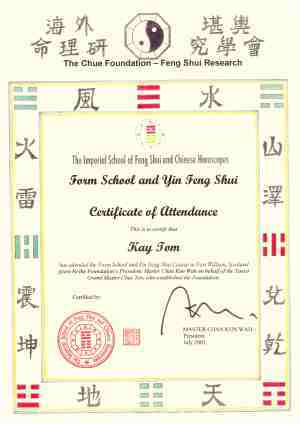 Master Kay Tom is a direct student of Grand Master Chan Kun Wah and is delighted to offer the courses listed below. Please note the Deer Barn is set in the heart of the park with no vehicle access. Pedestrian access is easy along a surfaced road so sensible walking shoes are recommended. The Deer Barn is approximately 2km from the Newtown Linford main entrance of the park and 1km from the Hallgate entrance. Suite 7 is above the newsagents. For entry, go to the side of the building and ring the red door's bell.